As the National City of Sport, where better than The Sheffield College for developing your sporting talent and knowledge? We’re a city of esteemed sporting prowess, beautiful outdoor scenery and world-class facilities. Sheffield has produced Olympic gold medallists, world champions and two great football teams. We’re home to the prestigious English Institute of Sport, training place of Anthony Joshua. Our ice hockey, basketball, netball and rugby teams have all experienced success, and we even go mad for the snooker as it pops its head in for the World Championships. Sheffield is an unrivalled place for you to come and study sport! We’ve got opportunities in Sport Science, Exercise and Fitness, Sports Massage, Coaching and Performance, Personal Training and a brand new Elite Basketball pathway at our Hillsborough Campus where you’ll study in our top class facilities including floodlit 3G pitches, playing fields, sports halls, gym facilities and dance studios. That’s not all! You’ll also have the chance to represent the college competitively for one of our many teams in the national leagues and gain additional sporting qualifications, including our Basketball Academy who play in the Academy Basketball League. All this whilst benefiting from our great connections with all the major sporting clubs across the city including Sheffield United, Sheffield Wednesday and Sheffield Sharks. We’ve got links with hundreds of local employers meaning you’ll get every opportunity possible during your time with us. This could include seminars hosted by guest lecturers who work in the industry, work placements with the biggest names in sport or trips to some of the leading sports establishments in the world. These are the experiences that will make you stand out to future employers and universities, and we’re on hand to give them to you. 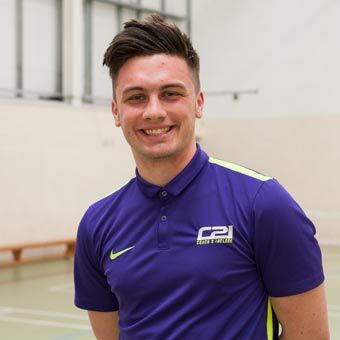 All of our tutors have got one thing in common - a passion for sport! Their teaching expertise covers a variety of sports and activities, so that you can develop your knowledge and skills in the widest range of sporting activities possible. Many of our tutors have also worked in the industry before entering education, so they're some of the best people around to offer you advice and guidance when it comes to succeeding on your study programme or landing your dream job. Our sports facilities are based at our Hillsborough Campus, where we've invested millions into our offer. You can take advantage of our 3G sports pitch, multi-use sports hall and fully equipped fitness suite both to contextualise what you're learning in class and to host your extra curricular sporting activities! We also have excellent links with other organisations across the city, such as Sheffield International Venues and Sheffield Institute of Sport, where you can further grow and develop as a sportsperson. The field of sport is incredibly varied, and so are the employment opportunities that come with it! 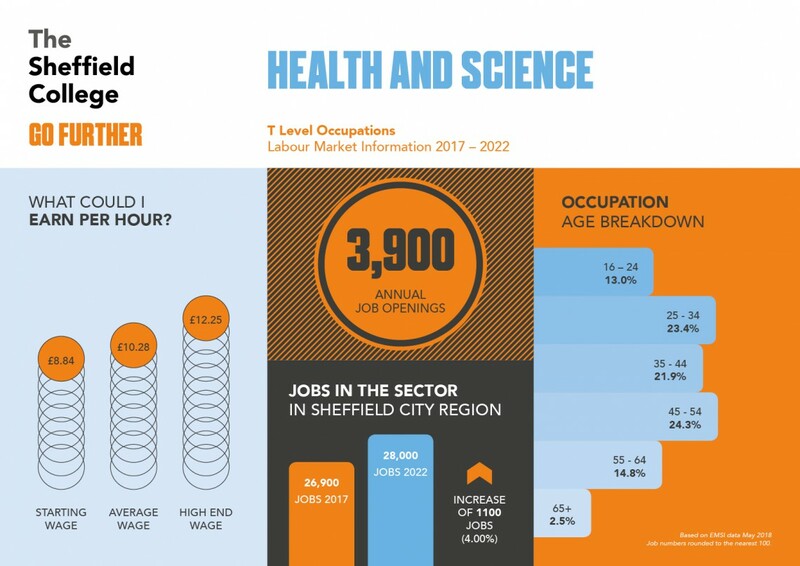 It's estimated that there are 10,000 sports-related jobs within the Sheffield City Region, and this figure is set to increase by 3.2% by 2022, so you'll be well placed to take advantage of these new roles by the time you finish your study programme with us. Need more information? You can access a wealth of information about the different job roles and average salaries in the sporting industries, as well as live job vacancies and tip for creating an eye-catching CV on our online portal, Career Coach. "Not only did the tutors really help us with learning the coaching skills we needed, they also taught us the business skills we needed to be able to set up our own businesses - like I have done with Coach 2 Include. "